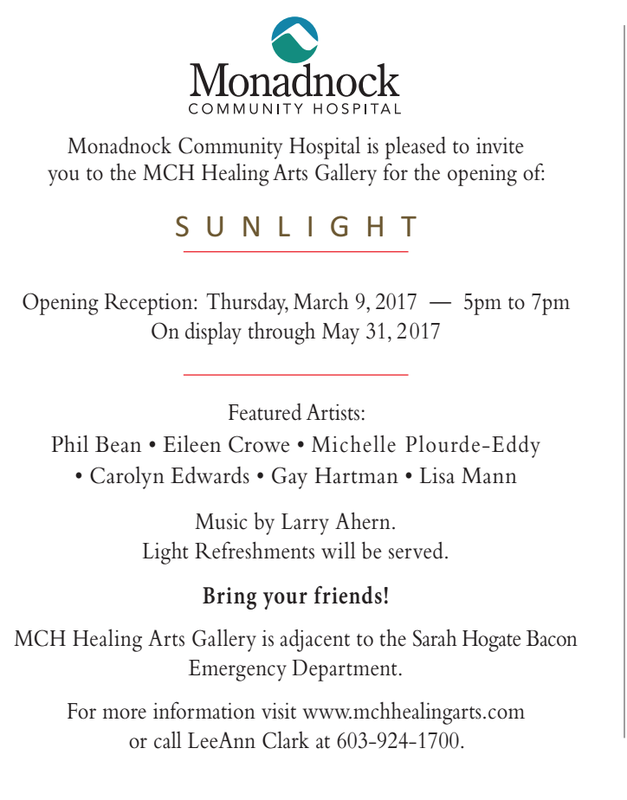 Join us for an upcoming show at the Monadnock Healing Arts Gallery. 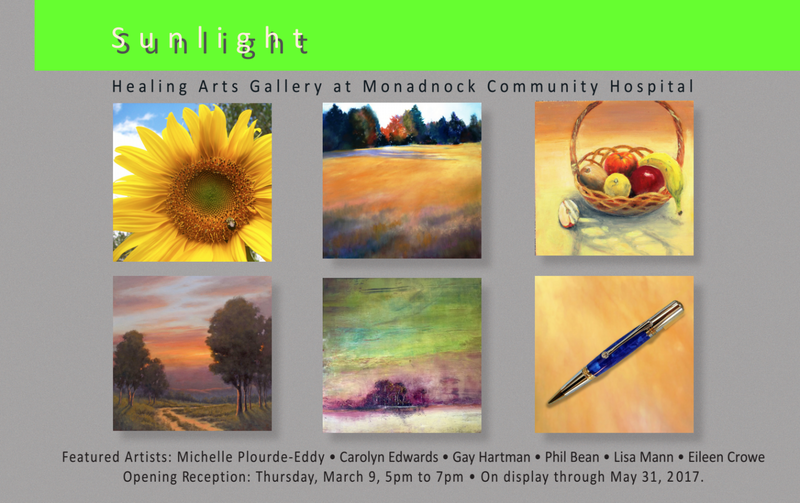 My work will be one of the featured artists on display and 30 percent of the profits go towards such a great cause!!! 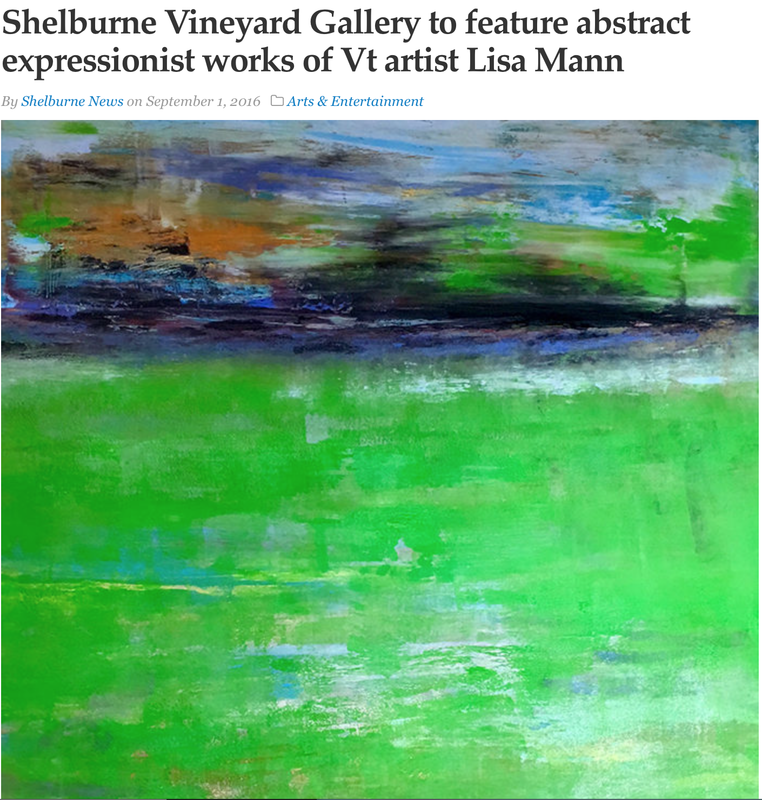 Lisa Mann Fine art has been featured on the front page of Saatchi art's curated art collectionas and part of " 64 Artworks curated by Rebecca Wilson Chief Curator and VP, Art Advisory at Saatchi Art"
• American Art Collector Juried Competition and Publication, "If Trees Could Talk"
I am so honored to have my work featured for the upcoming Harvest Dinner for Crotched Mountain foundation. Please join us for this evening of fun, and amazing food to support the foundation. 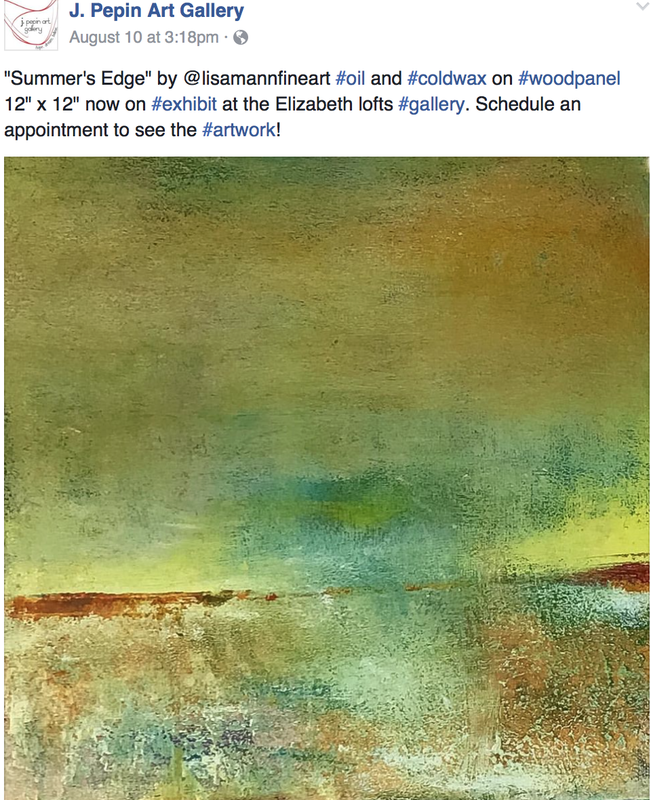 My painting Blue Harvest, will be auctioned off as well! 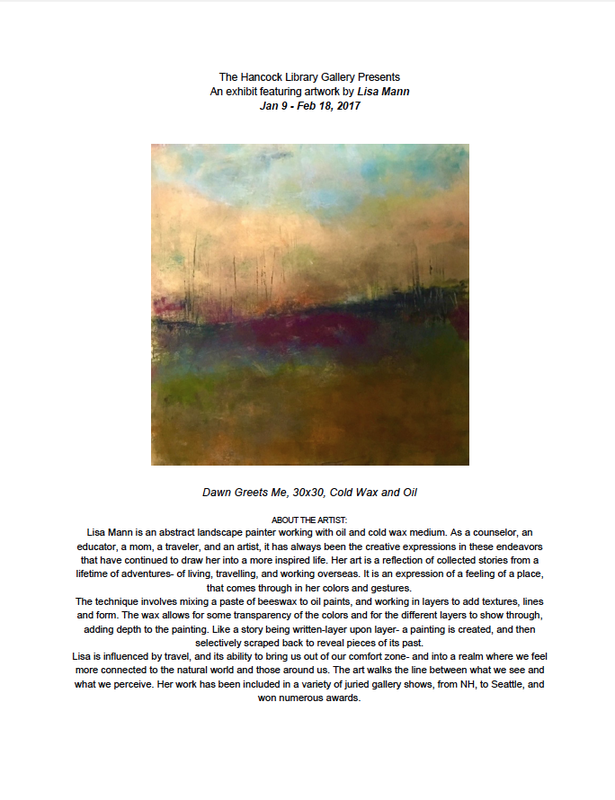 GREAT Show for First Thursday exhibit at Elizabeth Lofts Gallery in Portland Oregon. Blue Moon Beer was there and asking folks to vote for their favorite piece of artwork. 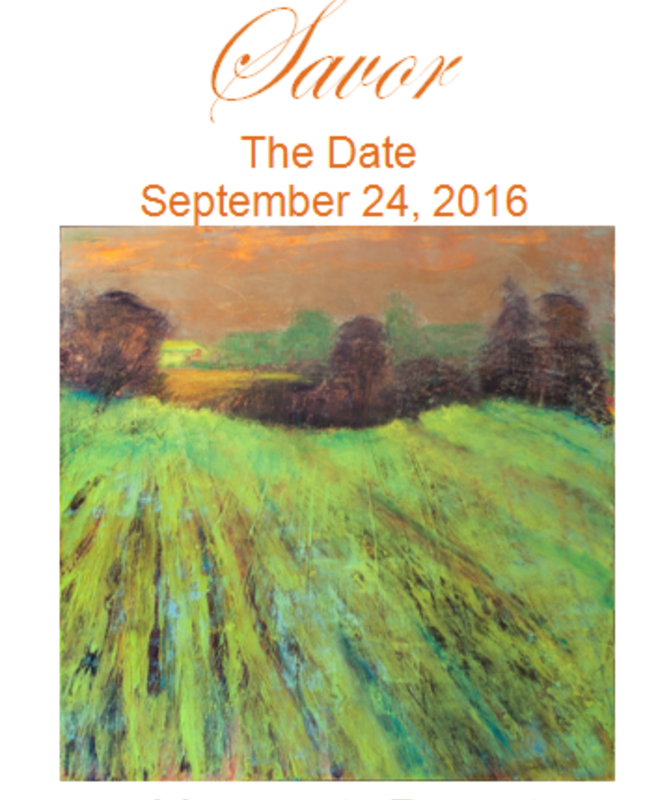 The winning artist will be honored on Sept 22. 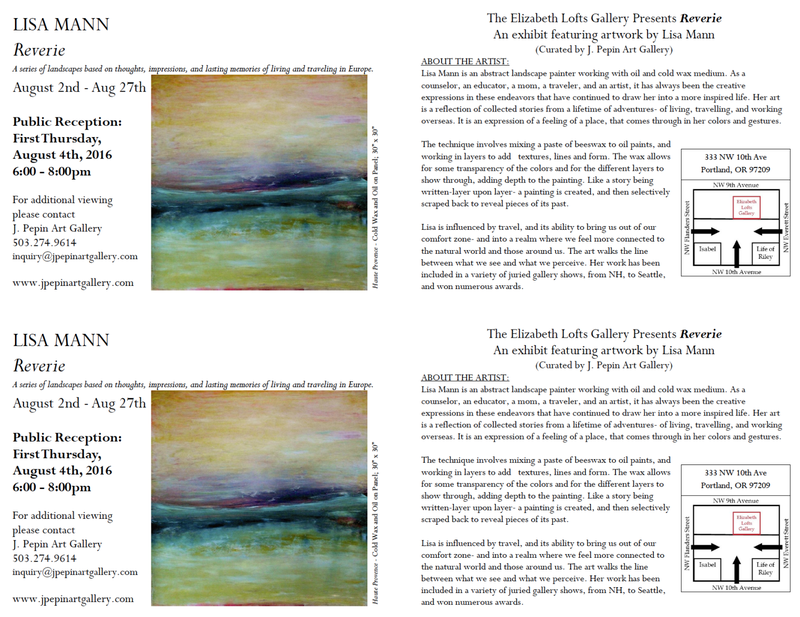 Thanks Jen Pepin Gallery for organizing the show.